Tiny hands and feet, lips, nose and ears, these first images of your unborn child are sure to melt your heart. With every new pregnancy, comes the excitement of wondering who your baby will look like and the joy of watching him or her grow and develop in the womb. At Picture Perfect 3D/4D Ultrasound, we offer 3D ultrasound and 4D ultrasound images and videos that provide the entire family a once in a lifetime bonding experience with your unborn baby. Our ARDMS certified Obstetric Sonographers are highly qualified and trained to use the latest 3D/4D fetal imaging technology to ensure that you have the most memorable experience. Picture Perfect’s mission is to provide you with a safe environment, quality images, reliable services, and a responsible staff. 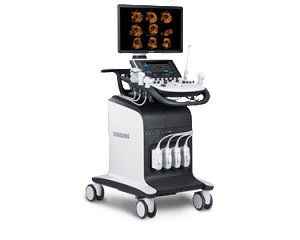 Our state of the art technology, provided by Samsung, is the latest in 3D/4D ultrasound. We maintain all of our equipment with regular preventive maintenance and system upgrades for Picture Perfect quality and clarity. a 2D, 3D, and 4D Ultrasound? 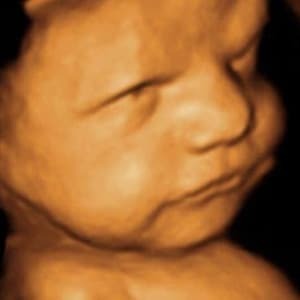 When is the Best Time to Schedule Your 3D/4D Ultrasound? We offer gender reveals as early as 16 weeks. 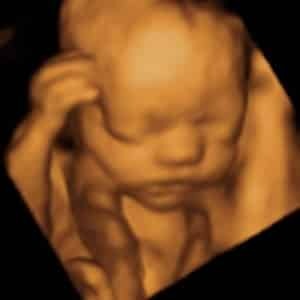 For a 3D/4D ultrasound, Picture Perfect recommends that you schedule your 3D/4D ultrasound between 28-34 weeks in order to ensure the best 3D/4D imaging quality. 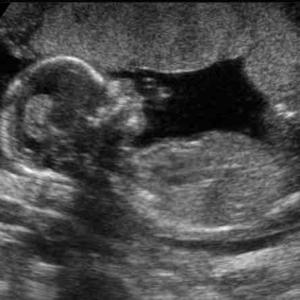 Click here to calculate the optimal time-frame to schedule your Picture Perfect ultrasound. Our basic gender reveal services starts at $65. Our most popular package is the Peek-A-Boo (starting at 26 weeks) which costs $135 and includes HD pictures and video. Click here to book your baby ultrasound with Picture Perfect 3D/4D. In many cases, we can accommodate a same day appointment even if the time is not available on the booking calendar. Please give us a call at 832-783-8992 to schedule same day. Please note that you will need a consent form from your doctor. Can I Schedule a Day That is Not Available on The Calendar? In many cases, we can accommodate our clients even if the time is not available on the booking calendar. Please give us a call at 832-783-8992 to schedule same day. 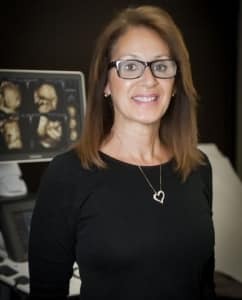 Picture Perfect Images is led by ARDMS certified ultrasound sonographer Evelyn Vasquez. Picture Perfect Images works with the best obstetrician/gynecologist (OB/GYN) doctors and facilities in the Houston area. Evelyn has been providing women with the highest quality ultrasounds for four decades. Parents love us because we have combined experience with a comfortable environment that provides the best 3D/4D Ultrasound experience.